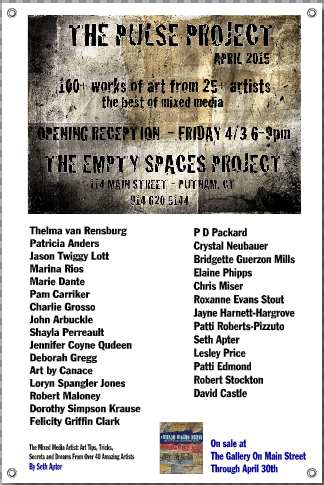 The opening reception for the Pulse Project is this Friday! I am really looking forward to being there and seeing the works of 29 artists who were also featured in Seth’s Apter’s book “The Pulse of Mixed Media. If you’re in the area, hope you can make it. The opening is from 6-9 pm on Friday, April 3rd. The gallery is located at 114 Main Street in Putnam, Connecticut. You can view all works online at Seth’s blog The Altered Page and purchase through him there. 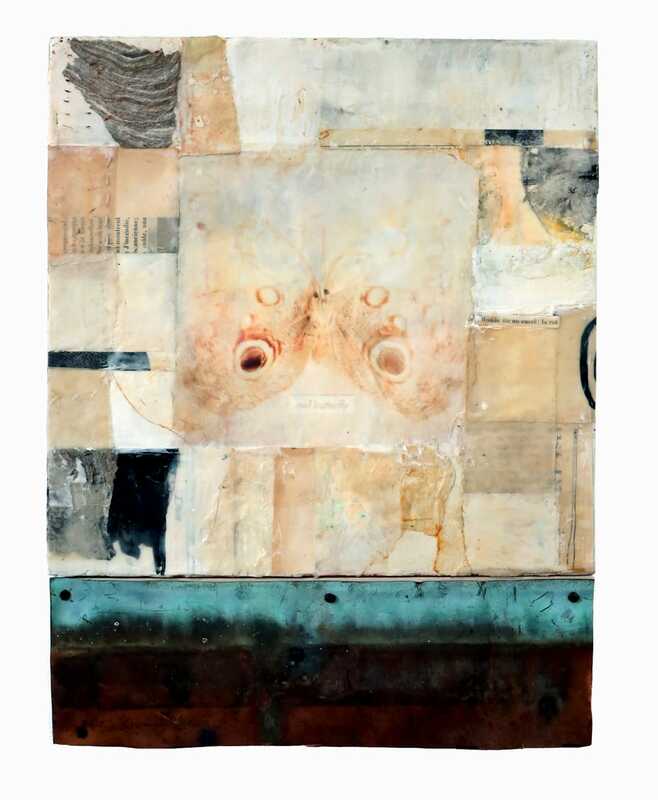 Below is one of my encaustic mixed media paintings that will be part of the exhibit. The image in this painting is over the Owl Butterfly. The wings look like an owl face and scare off predators. I find that so fascinating.